Marco Rubio left Iowa smiling after coming in third. Third? That’s even worse than kissing your mother-in-law’s stray cat full on the lips, some might say. Not so fast. 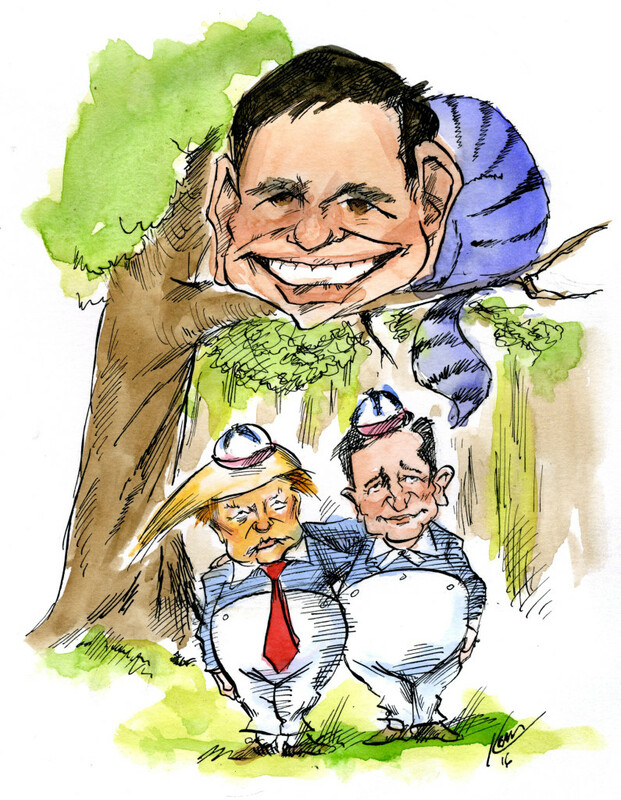 Marco Rubio may have lost to Tweedle Dum and Dummer, but is gaining votes he can take to the Republican Convention. He also has quite the edge over Cruz and Trump when you throw in Hispanic voters. Despite his poor showing in New Hampshire, he is still a force that cannot be ignored on the campaign trail. p.s. I apologize to Sir John Tenniel yet again.